San Francisco-based Crystal Dynamics again feels the lash of layoffs, as Eidos confirms with Kotaku that around twenty-five employees have been let go from the Tomb Raider development studio. We first heard stirrings of these new layoffs earlier this week, receiving several tips from people purporting to be former employees or friends of former employees. Now an Eidos spokesperson has confirmed the layoffs, citing the need to "focus resources" as the underlying reason behind them. "We can confirm that Crystal Dynamics has made a reduction of approximately 25 people at the San Francisco studio. This decision is a reflection of the continued drive to focus resources at the studio. We would like to thank all of the employees affected by this difficult decision for their hard work during their time at Crystal and we wish them all the best in the future." This latest round of cuts follows rumors in January of another 30 or so employees cut loose from the developer following poor performance of the latest Tomb Raider title, Tomb Raider Underworld. With no currently announced projects and the recent acquisition of parent company Eidos by Square Enix, one cannot help but worry about the future of the remaining Crystal Dynamics employees. Tomb Raider was a large part of the allure of Eidos to Square Enix, so we wouldn't be surprised if they took Lara out of Crystal Dynamics' hands in an attempt to revitalize the franchise once again. 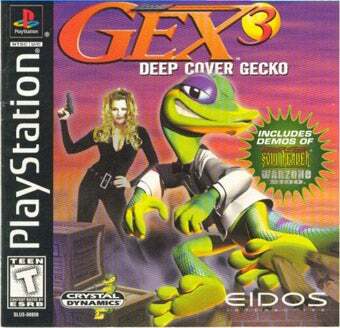 I'm personally hoping that the developer sticks around long enough to deliver a new Gex title.